Bangarra Dance Theatre is a company with a strong history of producing and performing Indigenous works. Resonating with the sacred history of this land and contemporary narratives that carry our Indigenous stories into the present, this is a company that is unwavering in its commitment to share Australia’s diverse Indigenous experiences with all citizens. 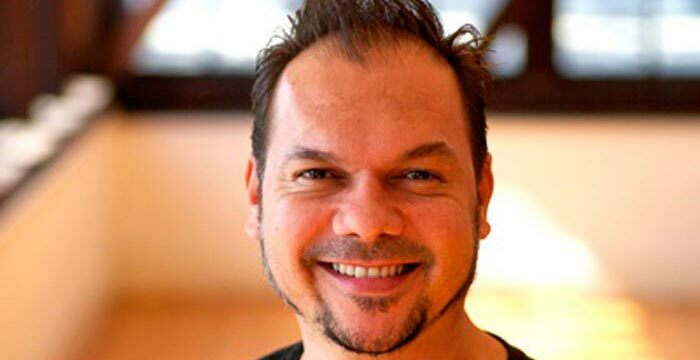 In a recent conversation with Artistic Director Stephen Page, we discussed a range of different topics: the various efforts involved in creating new work; the company’s growing expansion into the international arena; and the ongoing contribution that Bangarra is making to our own Indigenous Arts sector in Australia. Bangarra’s dancers have an incredibly busy schedule. New works take approximately three months to develop and are then followed by tours around the country to both urban and regional centres. There are also creative developments and time needed to be spent on country; and of course there are international tours. With over seven months spent in rehearsing and touring the remaining five slip by very quickly, especially with an increasing number of overseas tours. Most recently, the team took Spirit, a collection of highlights from the company’s repertoire, to Vietnam. “This was part of the 40th anniversary celebrating diplomatic relations between Australia and Vietnam. We were invited to perform in Hanoi and Ho Chi Minh” explains Page. Page, who was in Vietnam not too long ago working on the choreography for the successful Australian film, The Sapphires, was rapt that the company was given this opportunity. And Vietnam wasn’t the only stop in the Asian tour, six of the dancers also travelled to Bangkok to host a workshop and Masterclass at the Bangkok Dance Academy before returning back home and preparing for the 2013 season. As a pillar of Australia’s Indigenous performing arts industry Bangarra’s role is significant, not only in creating opportunities for talented Indigenous dancers but also in ensuring that their stories are heard by all Australians. “There is a balance to creating work and we are continuously developing,” confides Page. But sharing stories, particularly Indigenous stories, requires not only adroit craftsmanship but also intuition and Page is keenly aware of the need to maintain the integrity of the work in a highly consumer-based society. Australia has come a long way in recognizing the myriad of different expressions offered by the Indigenous artists of this country but the question remains how long do we need to wait until mainstream audiences ‘catch up’? It is a question that many artists and companies face, especially as they orientate themselves into an economy that is slowly grasping the concept that cultural knowledge and resources equate to more than simply cultural capital. But Page’s response is optimistic. As a company, Bangarra have always been committed to challenging one dimensional perspectives and Page is determined that the spirit of questioning will never falter. “We knew we were trying to shift people’s black consciousness and that has always fuelled our passion, our hunt,” says Page. Whether at home in Australia or performing overseas, Bangarra Dance Theatre is certainly an icon, not merely reflecting the artistic and aesthetic richness of our Indigenous peoples but also how far we have come as Australians. And with a history of over 40,000 years that’s a very long way indeed.